The Pastoral Clinic takes us on a penetrating journey into an iconic Western landscape—northern New Mexico’s Española Valley, home to the highest rate of heroin addiction and fatal overdoses in the United States. In a luminous narrative, Angela Garcia chronicles the lives of several Hispano addicts, introducing us to the intimate, physical, and institutional dependencies in which they are entangled. We discover how history pervades this region that has endured centuries of material and cultural dispossession, and we come to see its heroin problem as a contemporary expression of these conditions, as well as a manifestation of the human desire to be released from them. 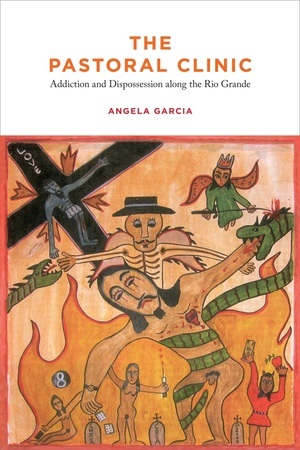 Lyrically evoking the Española Valley and its residents through conversations, encounters, and recollections, The Pastoral Clinic is at once a devastating portrait of addiction, a rich ethnography of place, and an eloquent call for a new ethics of care. Angela Garcia is Assistant Professor of Anthropology at Stanford University.